McALLEN — Two civil rights groups have asked a federal judge to overturn Starr County’s recently adopted ban on electioneering on county property, citing violations of the First Amendment and Texas law. The Mexican American Legal Defense and Educational Fund and Texas Civil Rights Project filed for a temporary restraining order in federal court Thursday. MALDEF and TCRP had already filed a lawsuit against the county Wednesday in the U.S. District Court for the Southern District of Texas. A pretrial hearing for the case was set for April 4. The TRO asks the court to block the county from implementing its ordinance banning electioneering, or campaigning, on county-owned or operated properties during the 2018 election season. Early voting for the March 6 primary election began Tuesday. 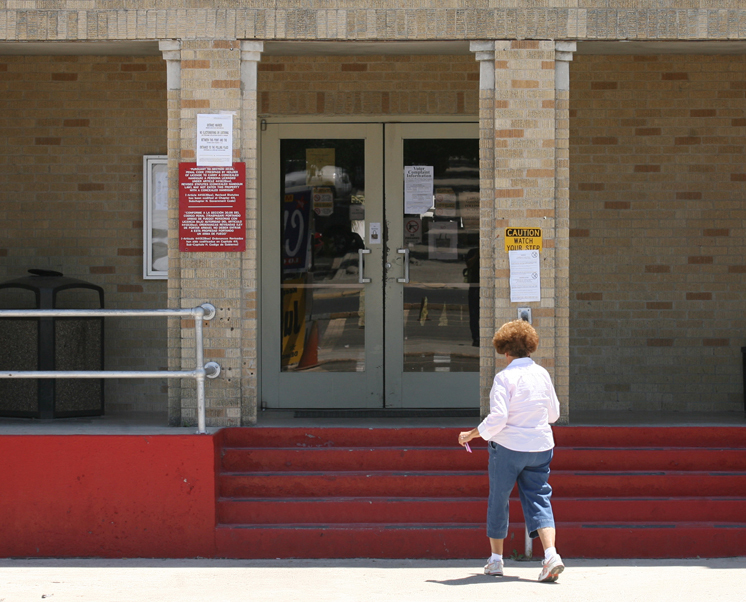 In addition to residents’ free speech rights, the lawsuit alleges that the ordinance violates the Texas Election Code, which bans electioneering within 100 feet from the outside door of a designated polling site. Electioneering activities include holding up signs, distributing brochures, displaying bumper stickers and wearing campaign T-shirts. Many county-owned and operated properties are not polling places, the lawsuit noted, mentioning the Starr County Courthouse Annex and La Victoria Community Center-Zarate Park. While the community center is a polling place for Election Day, it is not an early voting site. MALDEF and TCRP filed the lawsuit on behalf of Hilda Gonzalez Garza, who is an unopposed candidate for a Democratic Party precinct chair, and Rosbell Barrera, the county’s Republican Party chair. Gonzalez Garza, who is a practicing attorney, “fears she will be arrested for parking in the courthouse parking lot when conducting regular business at the courthouse because she has campaign stickers on her car,” the lawsuit states. As per the ordinance, anyone found violating the county’s ordinance could be charged with criminal trespass, a Class B misdemeanor, which could result in up to six months in jail and up to a $2,000 fine. “Despite the Secretary of State’s warnings regarding their illegal conduct, defendants have implemented and enforced their electioneering ban and stated that they will only stop if ordered by a court,” the application adds. Starr County District Attorney Omar Escobar — one of several county officials named in the lawsuit — was a proponent of the ordinance because he believes electioneering on county property disrupts county business and harasses voters. Escobar said the lawsuit “curiously forgot to mention” a county building and property use policy that county commissioners approved Feb. 12. The policy requires parking lots and parking areas on county properties to remain free of loitering but allows residents to apply for a permit to use “common areas” — anything other than parking zones — for any activity, including electioneering. “I think the county has a legitimate interest in regulating parking zones,” Escobar said, noting that he doesn’t see how Gonzalez Garza and Barrera “can show how their First Amendment rights have been denied” under this policy. “I think we’re going to leave it up to the judge (to decide),” Escobar said. U.S. District Judge Randy Crane set a hearing for the TRO application Monday morning.